Deep Fried Taro Dumplings are one of our favorite dim sum selections. It has a thick layer of taro that has been boiled, mashed and then mixed with a seasoned pork filling. The dumpling is then shaped and deep fried to give it its crispy exterior. We love this crispy appetizer and this savory dish is a must eat item! 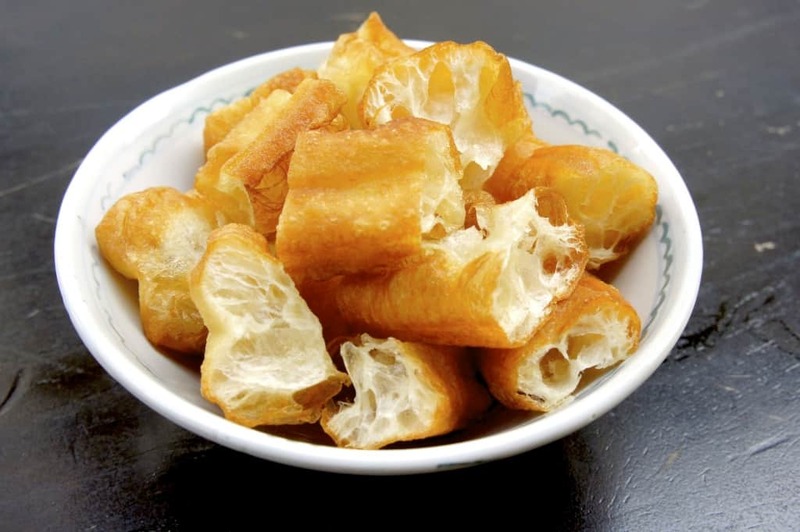 Youtiao or Chinese donut is a golden, deep fried and lightly salted piece of dough. It goes well by itself or can be served with congee (or rice soup). If you wander into your local Chinatown, you can usually find these Chinese donuts at the Chinese butcher shops. We love these crunchy bread pieces. They remind us of happy times in our childhood when our grandma would delight us with a frozen bag of Youtiao. One more reason to love this bread dish. Ooh, the things we can say about this succulent Empress Chicken. Interestingly enough, there are several ways chefs can prepare this dish. Our favorite is the cold poached version. It is extremely flavorsome and the meat is so tender. It is served with our favorite sauce: a combination of soy sauce, green onion and garlic. 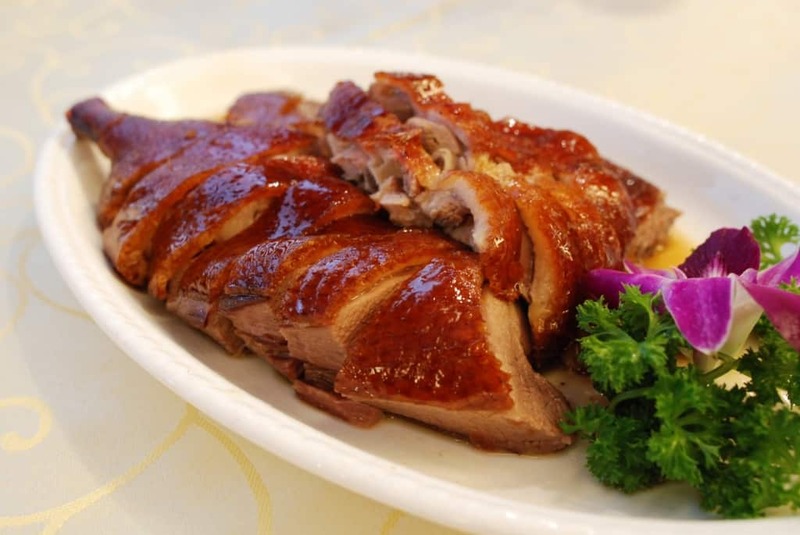 Our other love is Roast Duck. Our succulent, savory, scrumptious Roast Duck. We strongly advise ordering Chinese steamed buns with this dish. Once your waiter or waitress brings you your duck and steamed buns, follow these easy steps: open a steamed bun and place your duck meat in it. Add a couple pieces of scallion (or green onion) inside along with a dabble of plum sauce. Because plum sauce has an overwhelming flavor, use it sparingly. 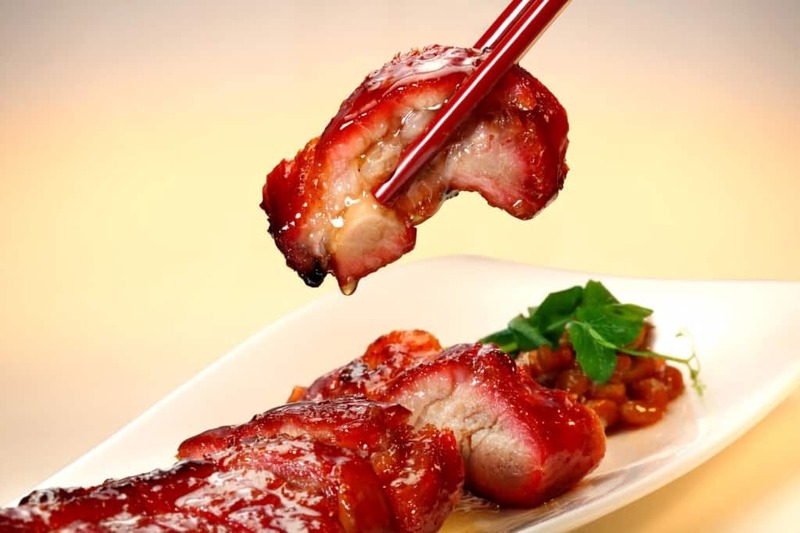 If you love pork, honey and barbecued foods, then this dish is for you. The pork is cut into strips and then pickled for 24 hours in various spices. Then it is toasted in the oven where it is brushed multiple times with flavorful juices. You will fall in love with this smoky and sweet taste. It lingers in your mouth and makes you beg for more. 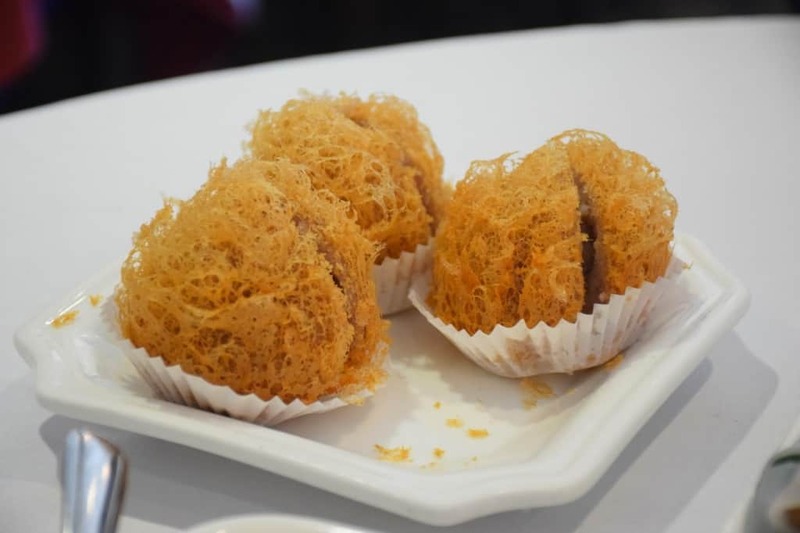 Siu mai! This is one of our favorite dim sum items. 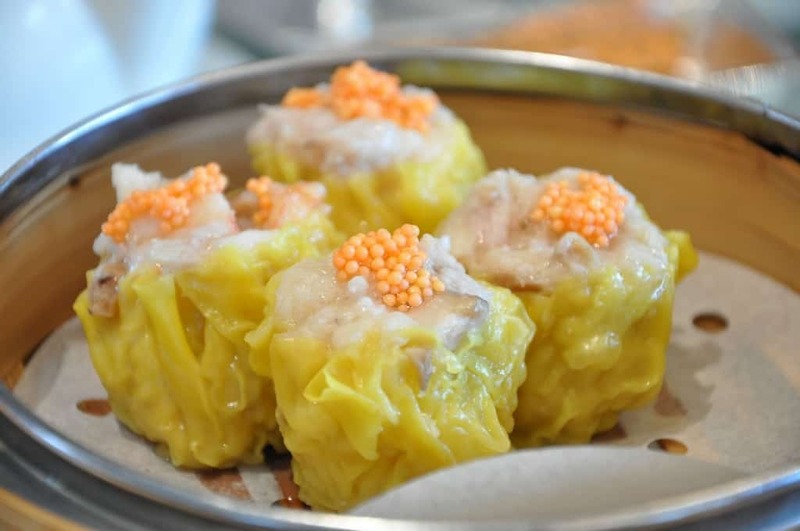 Shumai or Siu mai are Chinese dumplings that contain various fillings. Cantonese Siu Mai consist of ground pork or shrimp followed with Chinese black mushroom, green onion, ginger, rice wine, soy sauce, sesame oil and chicken stock. The top is usually garnished with crab roe. The end result is a delicious, bite sized piece of heaven. We cannot get enough of this savory and heart warming Winter Melon Soup. They are perfect for those cold, chilly evenings. 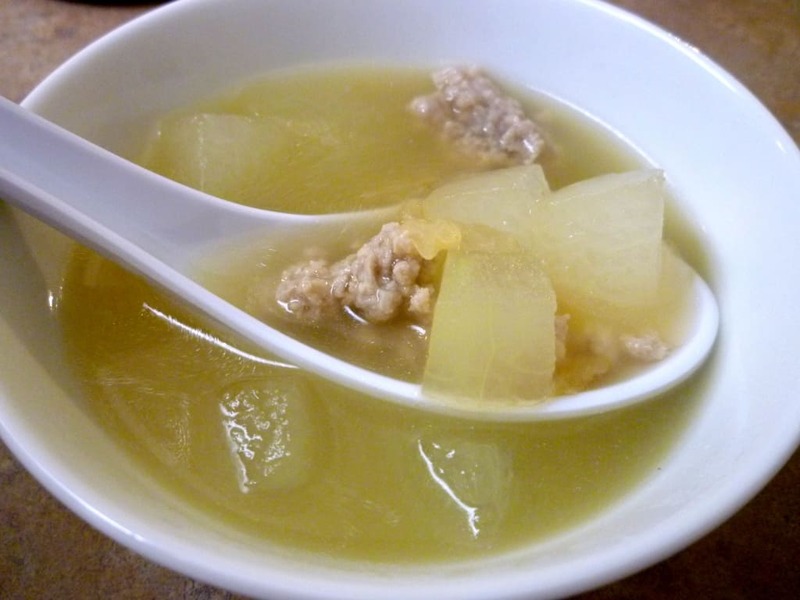 Winter melons are commonly used in Chinese cuisine for their soft texture and in this spectacular soup, they absorb the delicate broth flavor. These soups are generally served at banquets so if you are able to get your hands on this delicacy, we recommend savoring it until the last drop. We love our seafood and what better way to start your evening than with some savory Crab with Ginger and Scallions. It is generally hard to find this dish outside of an authentic Chinese restaurant. 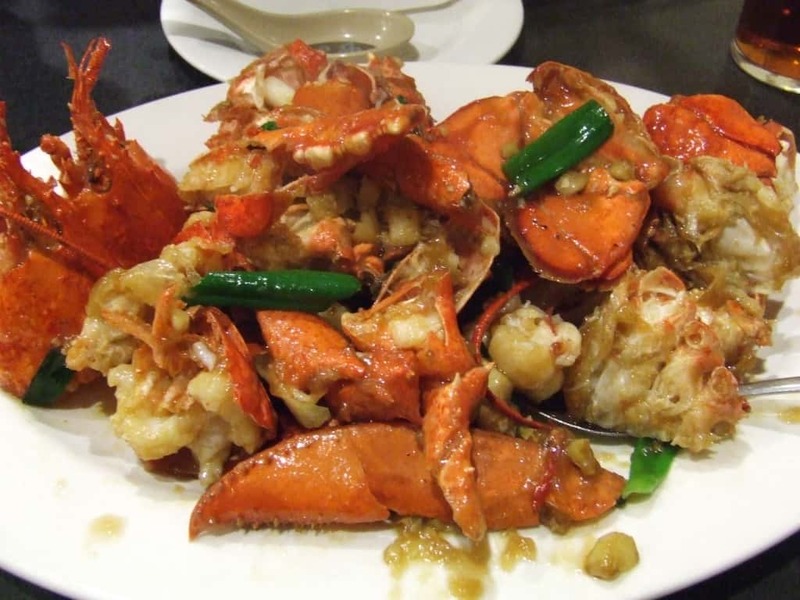 The crabs are deep fried, then tossed with sauce, scallions (or green onions) and ginger to enhance the flavors. 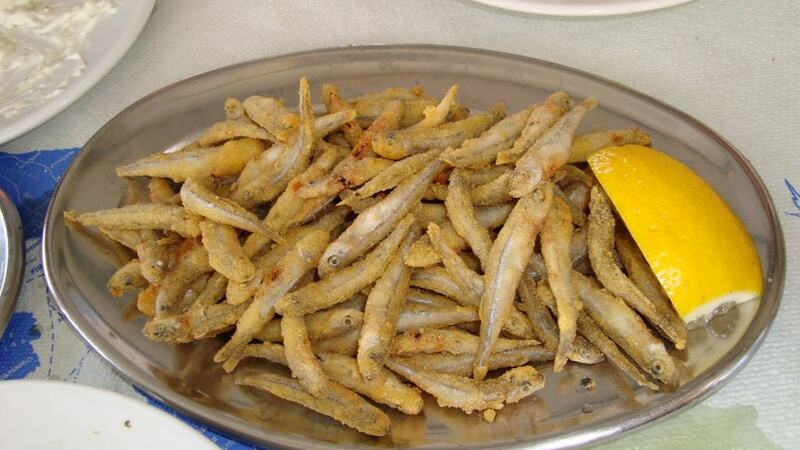 They are served with the shell still on so get ready to get your fingers dirty! Of course, we saved the best for last. 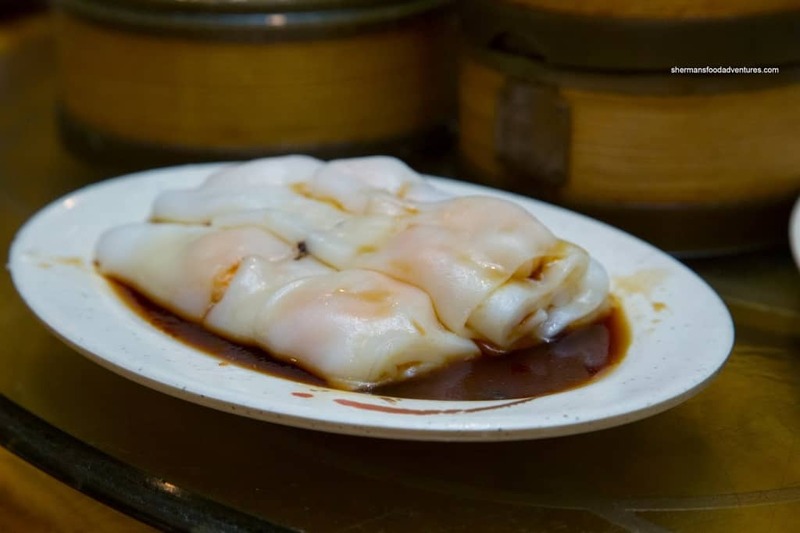 Our absolute favorite dim sum is the Shrimp Rice Noodle. This dish may look familiar as they have their dim sum counterpart, Shrimp Dumplings or Haw Gow. The main difference is that instead of the shrimp being presented in little balls, they are lain in long noodles. The Shrimp Rice Noodles tuck tasty whole shrimps in soft, chewy rice noodles. Soy sauce is then poured over the entire dish and served. Just thinking about Shrimp Rice Noodles makes us hungry. We could eat these all day long. 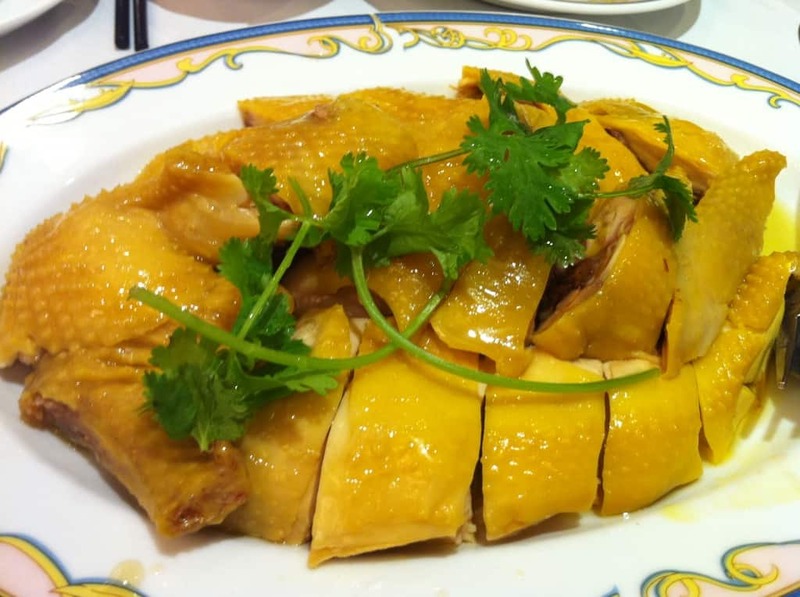 If you have a favorite Chinese dish, leave a comment below and let us know why you love it. Thanks for stopping by!